After a great month of Summer Under the Stars, TMP Recommends returns with five films airing in the first week of September! As usual, all times are listed in EST and come from the US version of the TCM schedule. Happy viewing! No one should be surprised that I’m recommending this film. It stars Stanwyck, after all, and you can never go wrong with Stanwyck! Meet John Doe tells the story of a columnist (Stanwyck) who will soon be laid off. She decides to go out with a bang, fabricating a letter from a suicidal, unemployed man she only calls “John Doe.” When the column becomes a hit, she’s re-hired. In order to avoid a scandal over the fabrication of the letter, the paper decides to pay injured ex-baseball player Long John Willoughby (Gary Cooper) to play the part of “John Doe” and drum up more press/newspaper sales. 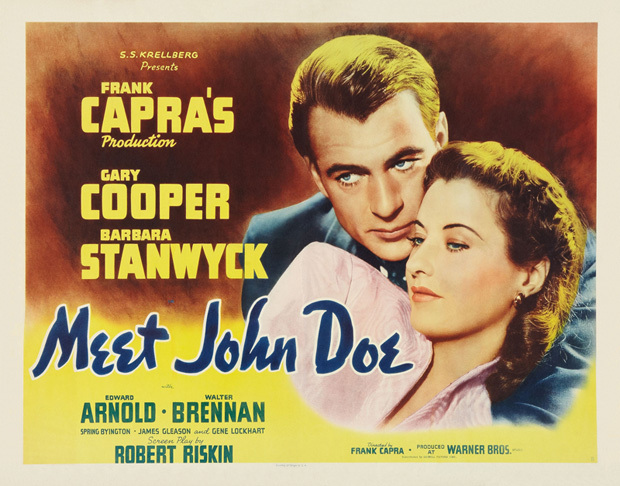 It may sound like a fluffy screwball comedy, but Meet John Doe is actually a very interesting social commentary with great performances and characters, helmed by none other than Frank Capra. The film is airing as part of a September primetime series, “TCM Spotlight: Five Came Back,” airing Tuesdays at 8 pm EST. The series is inspired by Mark Harris’ book Five Came Back: A Story of Hollywood and the Second World War. Would you believe there was a time when I considered Joan Crawford to be one of my least favorite classic actresses? I’m so glad I finally began exploring her filmography in greater depth a few years ago; I’ve come to love many of her films, and am constantly kicking myself for ever doubting her talent! 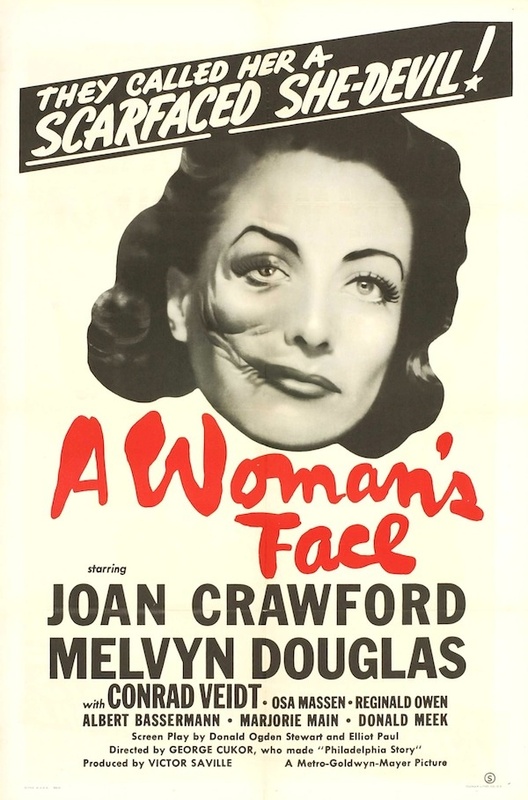 A Woman’s Face is fairly standard Crawford fair, which is to say that she offers a strong performance in the role of a complicated woman. The woman in question is Anna Holm, a scar-faced criminal who is given a chance at a new life through plastic surgery. But with her outer beauty restored, will she be able to reform on the inside, too? This is a must-see or fans of Crawford, directed by the great George Cukor. 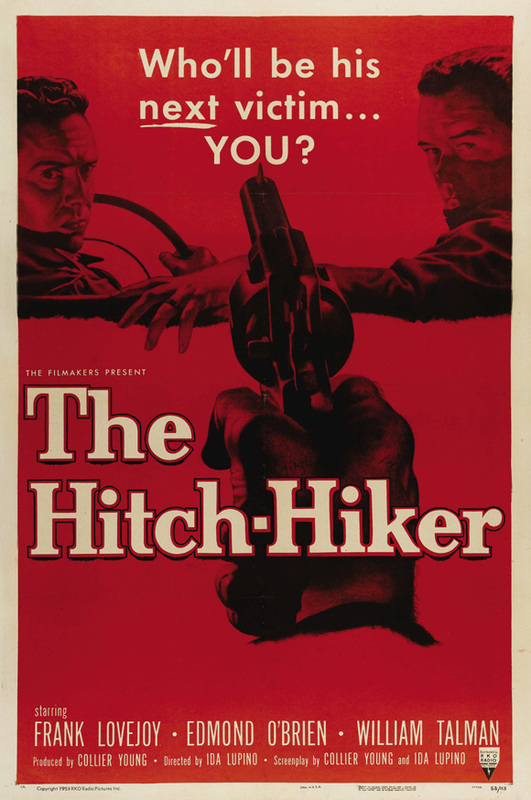 William Talman stars in the title role of this film, as hitch-hiking ex-con Emmett Myers. He murders his way down the West Coast, killing and robbing a pair of newlyweds in Oregon before also killing and robbing a man in California. He’s later picked up in Mexicali by two Arizona men on a fishing vacation. Will he continue to leave dead bodies in his wake, or will his two new traveling companions make it out alive? Last month, TMP celebrated actress/director/general badass Ida Lupino during the Anti-Damsel Blogathon. If you have access to TCM and haven’t seen much Lupino, here’s an opportunity to catch one of her best films as director! One of the original posters for Theodora Goes Wild promises “riotous romantic comedy,” and in a rare case of a film living up to its outlandish promotional slogans, this one follows through! Irene Dunne stars as Theodora Lynn, a small-town lady who has secretly published a novel under the pen name of Caroline Adams. The novel is seen as racy by her fellow Lynnfield residents and causes quite the stir, especially as the true identity of the author threatens to be revealed. 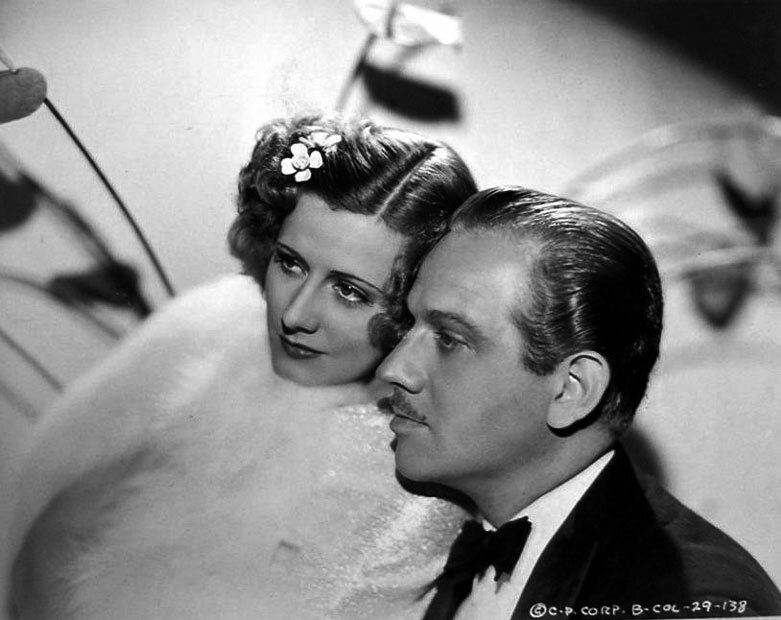 Melvyn Douglas costars in this fun and banter-filled rom-com, which cemented Irene Dunne’s future as an icon of the screwball comedy subgenre. Adaptations of highly-regarded literature are usually a bit hit-or-miss, but if there’s one thing classic Hollywood excelled at in this regard, it’s adapting Steinbeck. 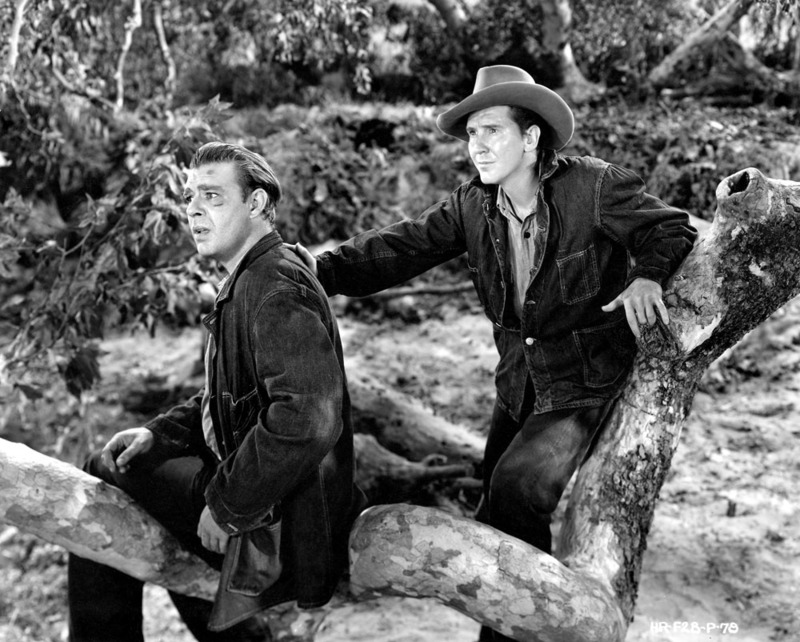 It would be difficult to top John Ford’s 1940 version of The Grapes of Wrath, which is quite possibly my all-time favorite film adaptation, but Of Mice and Men ranks highly on my list as well. The cast is perfectly-selected, with Lon Chaney, Jr. giving one of the greatest performances of his career. Whether you’re a Steinbeck fanatic or just a classic Hollywood buff, this one is definitely worth tuning in for. Excellent selections featured this month. Like you, I was lukewarm on La Crawford for many years, but came to senses after watching “Autumn Leaves” and worked my way backward through her filmography. She had a lot going for her!